Thanks Rob. Let me know if you would like one. I'm surprised that Chris is the only one so far to show a D shaped steering wheel. I've had mine since 2001 and think it's the only way to go, and I'm only 5' 10" tall with normal length legs! I also like the contoured grip areas which make it very comfortable. I got the hub and removable adapter from Panteras by Wilkinson. Not only is it a good theft deterrent but it also makes it really easy to work under the dash in the footwell area! I believe mine is 340 mm (about 13") but others may be available. My particular model is out of production but can be found on eBay. Chris' is in production. His is the Trek model, but others are available. 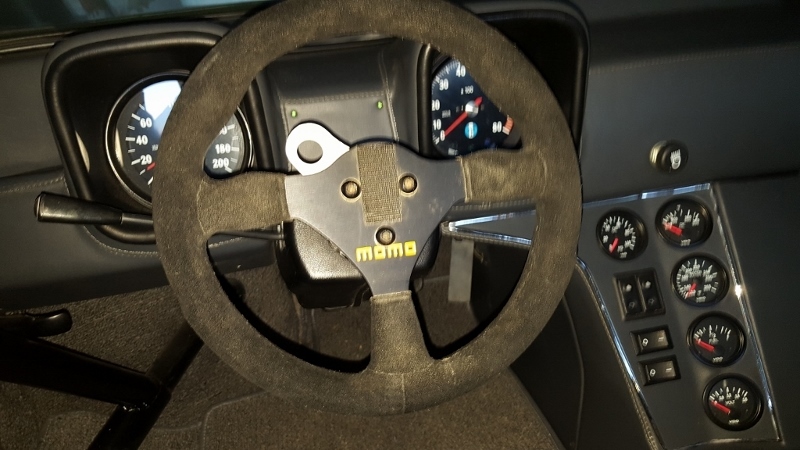 Just google Momo D shaped steering wheel or flat bottomed in place of D. To restrict to what may be available now, click on tools and "Past year" or what ever. Try clicking on images too. I don't know what hub Chris used, but the Trek wheel doesn't look like it would work with Wilkinson's removable adapter. You need one with a hole in the center and clear access to the standard mounting holes. Momo Mod 26 race wheel from a Spice GTP car. Perfect for my race/street Gr 4 style Pantera. The AL bracket holds a push to talk intercom button. Awesome Ron.....me likey as well.Me wanty. 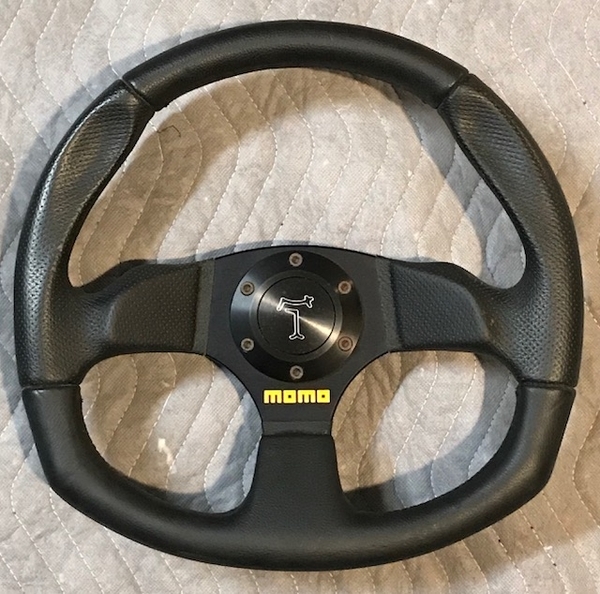 does somebody have the right number from the original Momo Steering wheel ? It was 32 cm ? Presumably the original steering wheels are splined and are secured to the splined steering shaft with a nut? Do all MOMO adapters have the same splining? Does anyone know the proper spline count and diameter? This is a fairly common dimension, used on domestic and imported vehicles. For example, I know it is also used by Mazda. One of the things I am noticing is that the LaCarra has more "dish" to it then the standard Momo's. I sold my LaCarra without checking that so now I am just guessing at that number? Looks like the LaCarra is about a 1 to a 1-1/2" deep dish and the Momo's maybe just a slight one at maybe 1/2". That definitely is going to give the clearance for your right leg and serving the same purpose as the D wheel. For you D guys, I did try a Momo D wheel and it didn't give me the clearance that I was looking for. I'm thinking of trying various offset wheels, i.e., 2", 3" and seeing if the combination works better? My car came with a LeCarra steering wheel. It is 13 1/2" OD and has a 1 1/2" deep dish. It also has a bow away from the dash at the top. I don't have any leg clearance problems. It is very comfortable to drive with the top bow. I don't understand what you mean by a "bow" in the wheel? Do you mean the "dish"? It is hard to get a picture that shows. I looked at the LeCarra website but it isn't very good about details of the wheels they sell. This might be what they call a Mark 4 but I'm not sure. You will have to call LeCarra to find out what I actually have. 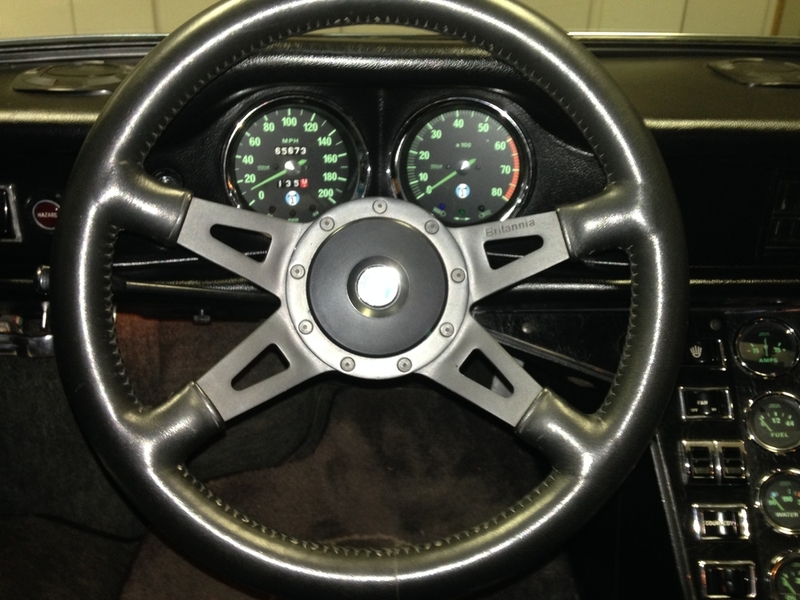 The top of the wheel bows toward the driver about an inch. I'll try to get more pictures or measurements if you want. Thanks for the picture Norm. I see the bend. That is a unique item as far as I know. That LeCarra wheel came on my GT5, I didn't like the thickness, too thick. The bow is simply a weakness of the wheel bending when grabbed to get in or out of the car. Who would have thought. I don't use the steering wheel to get in/out of the car. I find it very comfortable to drive with the bow. If I replaced it, I would probably bend the new one before installing. I've been reading "customer reviews" of various steering wheels. One thing that I noticed that comes up is "flimsy". 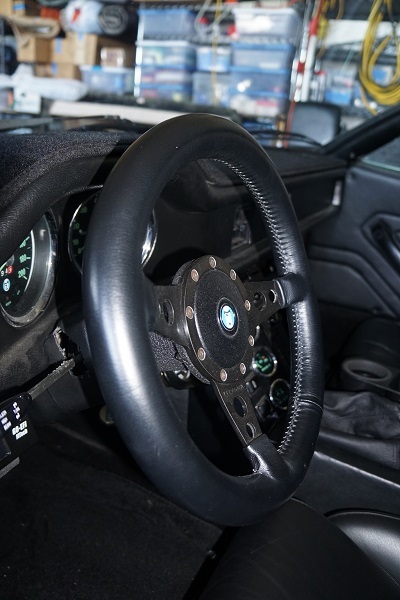 I'm not a novice to aftermarket steering wheels and have never come across this before so it has my attention. Personally I can't even imagine how I personally could bend or twist these things up UNLESS they were in some kind of an accident where the wheel was subject to some kind of an impact? Even the "Chinese" versions are made with a similar thickness to the aluminum frames. The only thing that would vary would be the alloy involved? I think I remember something about the wood rim wheels being involved in splintering in collisions where as the leather covered tend to bend and absorb the impacts. 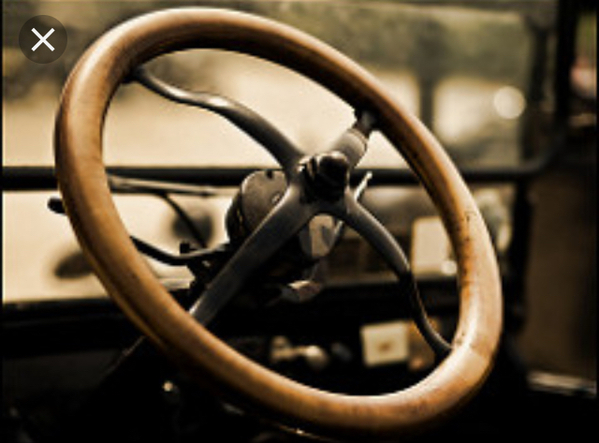 A correctly made steering wheel is designed to deform in a crash before your chest does. The fact that a Chinese wheel does so beforehand is no surprise to me. Went through the Chinese parts thing with my TR6 and all of it was junk. FWIW, MOMO Prototipo's are made of a non-weldable aluminum alloy. I TIG'ed one back together for a friend and it lasted a month before cracking next to the weld. Hey, how about this one? It’s Ford OEM and it’s not ugly! Has Wilkerson got a hub adapter for that one? depends on the colour of the horse its attached too. 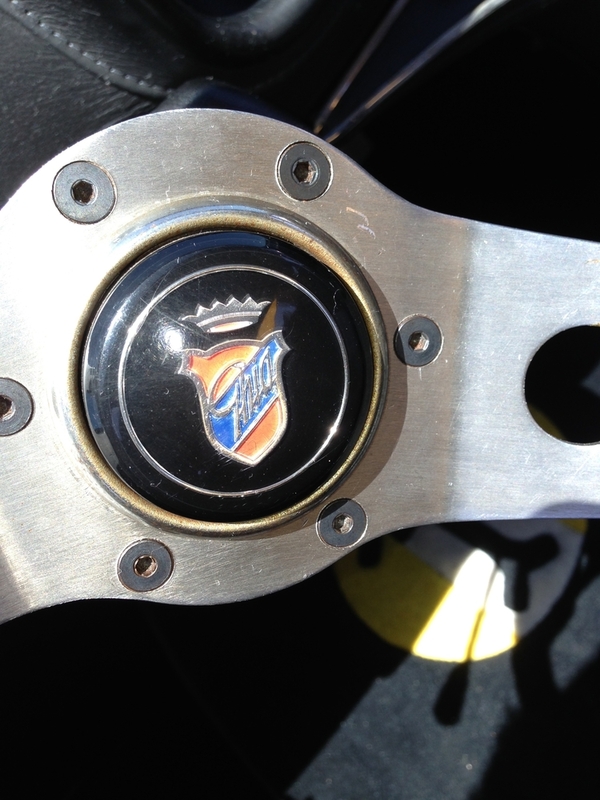 No, it is not original to a Pantera, but it is a Ghia horn button emblem. It is as close as I could get and will ‘fool’ most. 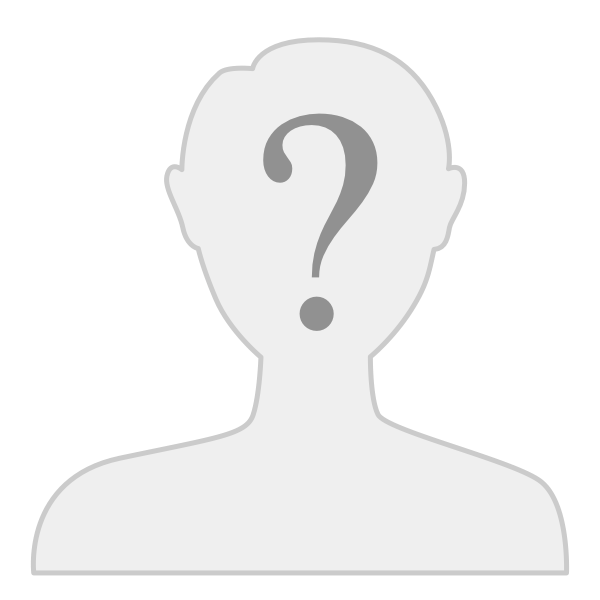 I’m trying to find an original that can be scanned into photoshop and then I can make an embossed sticker from that. :-) I have a two spoke but missing the horn button. 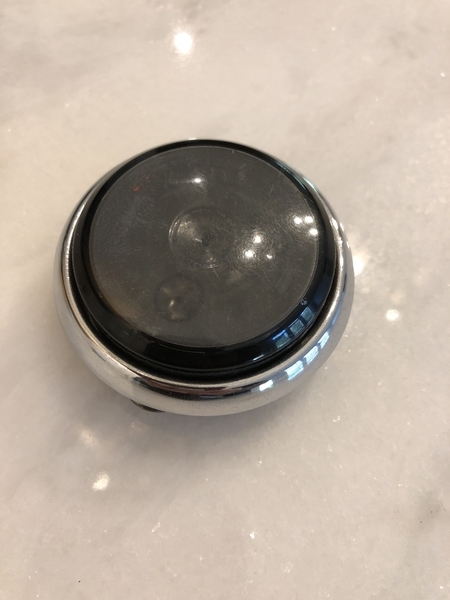 I have a horn button but it’s missing the emblem.